There are four Big Sky games on tap Thursday night, so let's take a look at each, with keys to the game and some predictions. 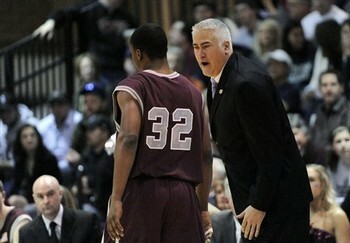 Keys for Montana: Defensively, they are getting better and better, and they need to contain NAU's guards. James Douglas and Gabe Rogers are the team's most prolific shooters, so they need to be sure to always get a hand up on them. Stallon Saldivar can hurt you as well, but he is better as a distributor than scorer. Offensively, they should look to go down low. Mathias Ward is coming off of a great day, and Kareem Jamar is a guard that also likes to go down in the post. They should be able to exploit that. Keys for Northern Arizona: They need to hit outside shots. Their offense is predicated on hitting from the outside, mostly because they don't have a lot of options down low. Their best post player is a 6 foot, 4 inch guard. To beat the good teams in the Big Sky, they need Douglas, Rogers, and Saldivar to hit outside shots. Who Wins: NAU is helped by this one being in Flagstaff, but I think Montana is playing at too high of a level for them right now. Montana is strong defensively in the backcourt, and that should neutralize the guards for the Lumberjacks. Mathias Ward is playing at a high level, and Wayne Tinkle is getting a consistent rotation. Montana 67, Northern Arizona 54. Keys for Montana State: Whenever a team faces an opponent that has a star, there is always a quagmire - do you do what you can to stop the star? Or let him get his points, and try to stop everyone else? In my opinion, the best way to beat Weber State is to let Damian Lillard get his points, and stop everyone else. That means that you have to slow down Scott Bamforth, who is perhaps the best shooter in the Big Sky. Kyle Bullinger (if he plays) and Kyle Tresnak are also guys that need to be neutralized. I think Lillard is going to get his no matter what, so MSU needs to slow down everyone else. Keys for Weber State: They are dealing with foul issues, so they have to stay out of foul trouble. The good thing is that MSU does not have a lot of threats down low, so that should help the Wildcats. Another key is Scott Bamforth. He has been playing well, and needs to continue. If he is on his game, that makes Lillard that much more dangerous. Who Wins: Montana State knows what a huge win this would be, but I don't think that they have it in them. The Wildcats are coming off of a road sweep over PSU and EWU, and should be able to take care of business at home, as long as they are not looking ahead to Montana on Saturday night. 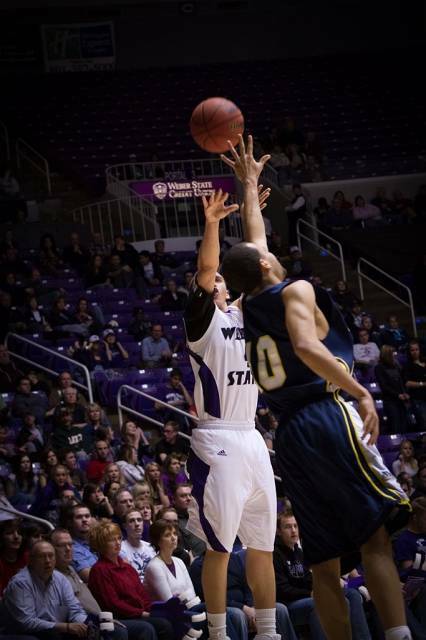 Weber State 77, Montana State 68. Keys for Portland State: Force turnovers, because taking care of the ball is something that the Bears struggle with. Another key is to get Nate Lozeau on track. After a great start to the year, he has struggled a bit in the last few games. PSU just needs to go with their strength, which is getting to the lane and scoring down low. Chehales Tapscott will be the best player in this game, and that is something they need to establish. Keys for Northern Colorado: They have been one of the best teams in the country at hitting outside shots, and they need that to continue. Portland State does not defend the three well, so that is something UNC can exploit. Who Wins: This game will be played in Greeley, which I think gives the advantage to the Bears (even though road teams have done well lately). This will be an entertaining game, as both teams are solid offensively but struggle defensively. UNC needs to take care of the ball, and if they do that, I think they hit enough shots to win. Northern Colorado 79, Portland State 76. 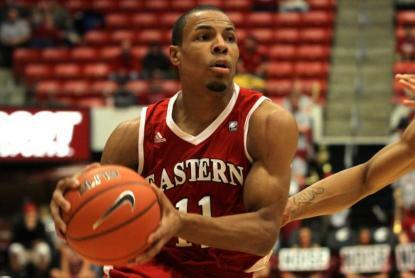 Keys for Eastern Washington: The key here is one that is always a key for them... stay out of foul trouble! This is something they have a huge problem with, but it greatly hampers their defense. Offensively, the key is simple - make threes. They get 39% of their points from threes (7th highest in the nation), and they shoot a lot of them. They need that to fall, or this will be anyone's game. Keys for Sacramento State: Stay aggressive. As noted, EWU has a penchant for fouling, so it is important to put them into situations where they might foul. Of course, the Hornets have had trouble making free throws as well, so they need to convert them. They don't defend the three well, and that will be critical in this game, as they look to avoid a huge hole at 0-4 in the Big Sky. Who Wins: The ongoing availability of Collin Chiverton is a continuing question, but I think EWU will have enough to win no matter what. EWU is seen as the third best team in the Big Sky, but they need this to get to the right side of .500. It will be a battle in Sacramento, but I think the Eagles get it done. Eastern Washington 72, Sacramento State 65. What are your thoughts and predictions on the games Thursday night?